If it seems like what was dismissed as a flash-in-the-pan trend has stuck around a lot longer than many of us predicted, you’re right. 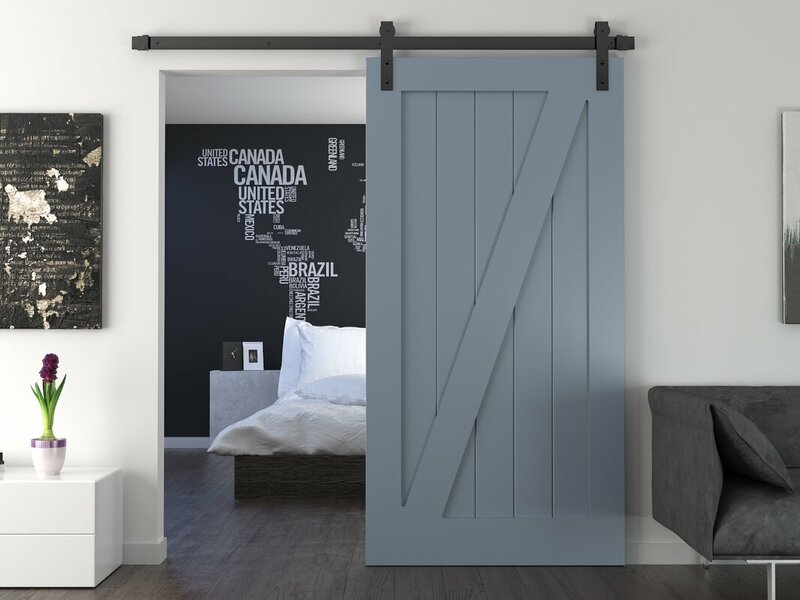 Barn doors are now becoming a staple in homes from new construction to renovations for their unique appeal and space-saving properties. If the word “barn” is turning you off, rest assured that there are a variety of styles that can bring a fresh look to your home along with new function. Not only that, barn doors can also bring increased value – important if you’re thinking of selling your home or just want to make smart renovations. According to Google Trends, interest in barn doors quadrupled between 2012 and 2017. 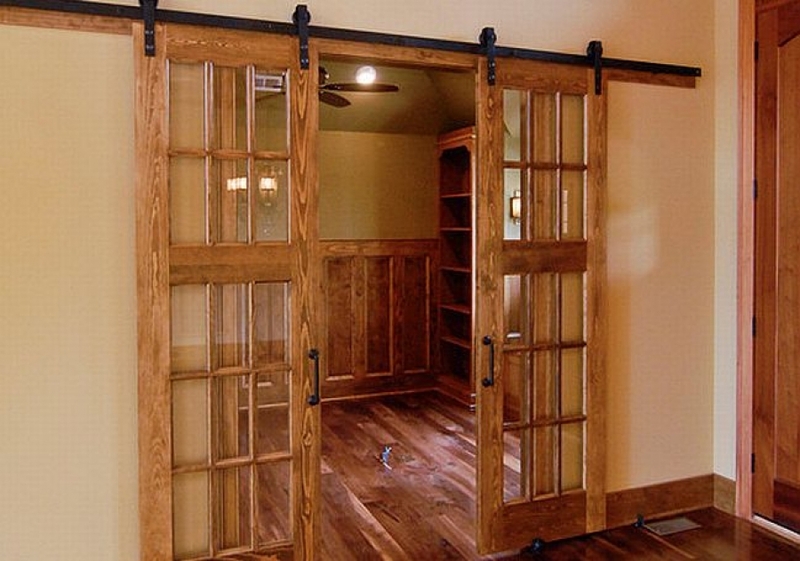 Another advantage of barn doors: they’re easy to install, and are even DIY friendly for the average person. 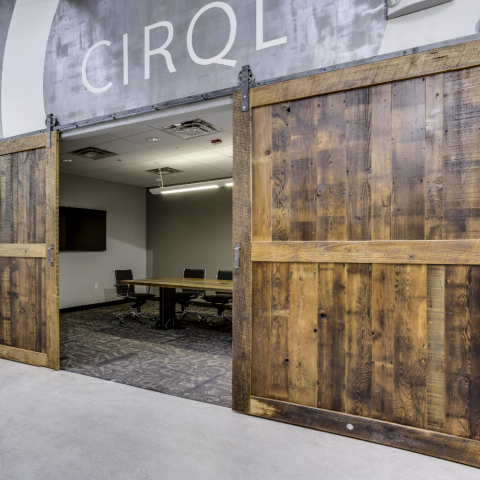 These oversize, reclaimed wood barn doors look great in a commercial space, creating privacy for a conference room in the same way they would in a living space. 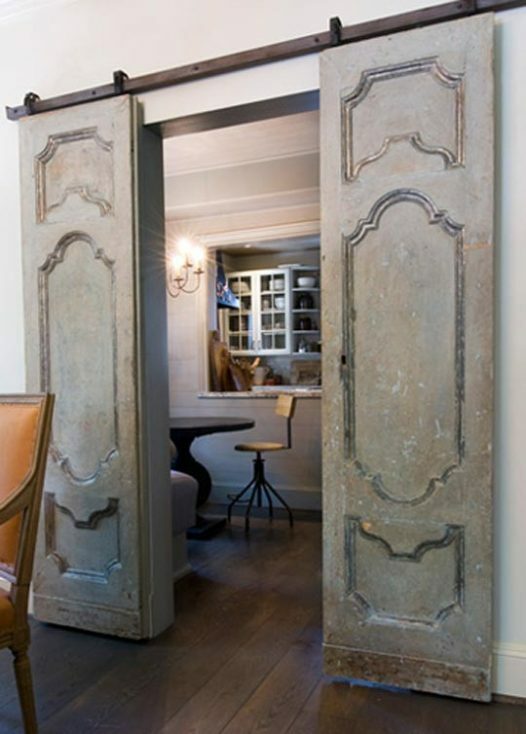 These more traditional doors set off a private living room. Black-framed, glass-paneled doors are on trend and bring a modern look to the space. Plus, you can close off the kitchen without losing light. A little bit rustic with contemporary flair, this barn door has some heft to it, which gives it a substantial feel and the size required to slide past a wide bathroom door opening. 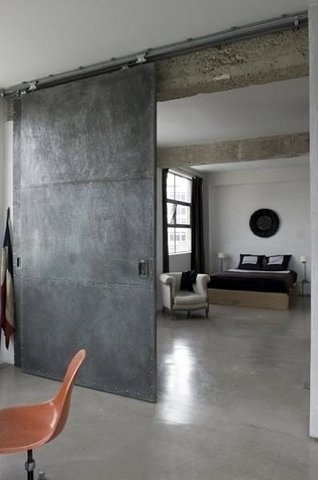 Steel is another material that is being used for barn doors, and one that brings in an industrial feel. In this space, a steel sliding door looks is the perfect choice to separate the living space from the bedroom. There’s a bedroom tucked behind there. A swinging door may take a way from the flow of the room or impede into the living space. Instead, the blue door adds an architectural element to the space. 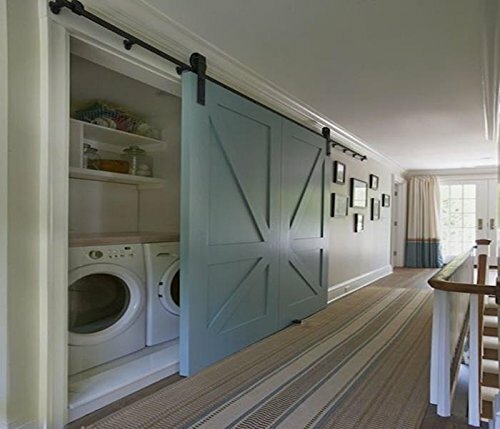 This version looks like a decorative wall, but it’s actually a 12-foot barn door that slides away to reveal a hidden laundry room. 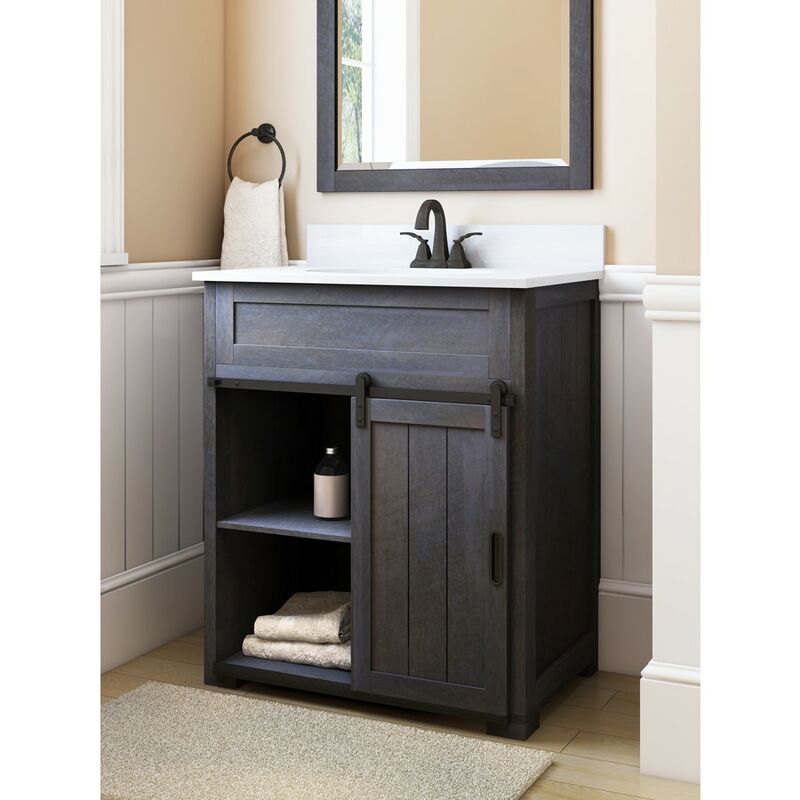 Barn doors or even showing up in items like bathroom vanities, which are especially useful in a small space that might not allow for a swinging door. They’re also being woven into furniture, like this entertainment unit.